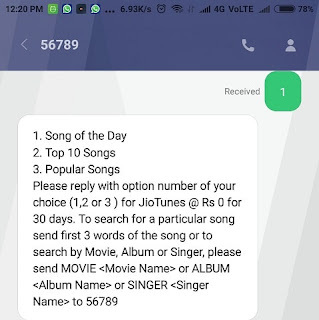 First, go to write message option on your mobile (or Jio4gVoice app), type JT then send it to 56789. 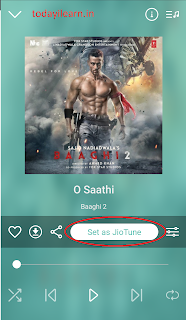 Or to search for a particular song reply with first few words of the song or to search by Movie, Album, or singer, reply with MOVIE <Movie Name> or ALBUM <Album Name> or SINGER <Singer Name> to 56789. For Example, if we reply with 1 for Bollywood. Then you will see a subcategory like this. Then we choose 2 for Top 10 Songs. You'll see options as the below image. Then reply with what you prefer. You'll get an SMS asking for confirmation. 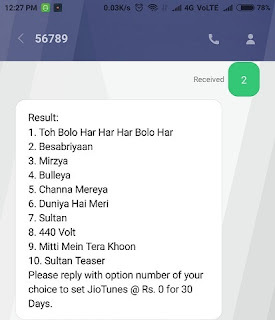 Reply that with 1, and then Y in the following SMS. Soon you'll receive confirmation SMS as this. Now if you want to change the caller tune you can repeat these above steps. 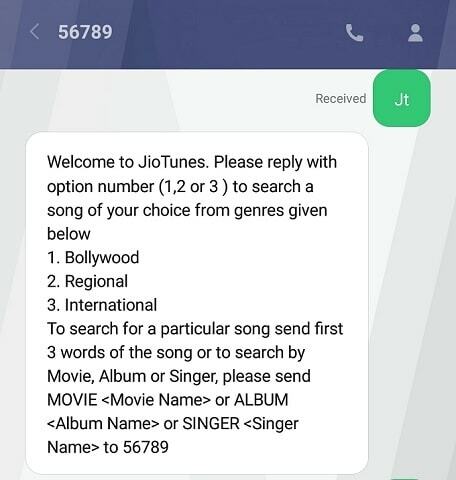 This is easier but you'll need to install JioMusic app from play store. Direct download link for JioMusic app. In the app, while listening to any song you'll see an option to "Set as Jio Tune". Click on that. You'll get an SMS asking for your confirmation, reply that with Y. 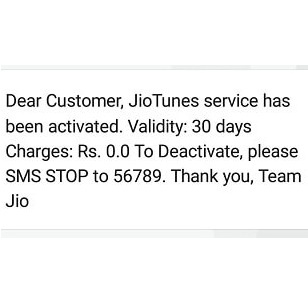 Upon successful confirmation, your Jio Tune will be activated instantly. If you face any difficulty following any of the processes, leave a comment. If you like this post share it with your friends. This is one of the most popular way of activating Caller Tune, this is the easiest and the quickest method also. You have to just make a call to any of your friend whose hello tune you like most, then while the phone is ringing, press * (star). 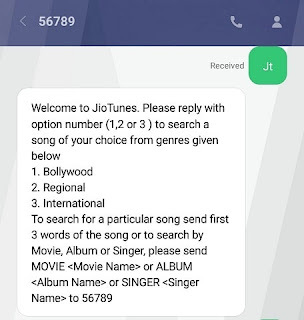 Now you'll get one sms asking for confirmation from Jio, reply with Y, soon your hello tune service will be activated. 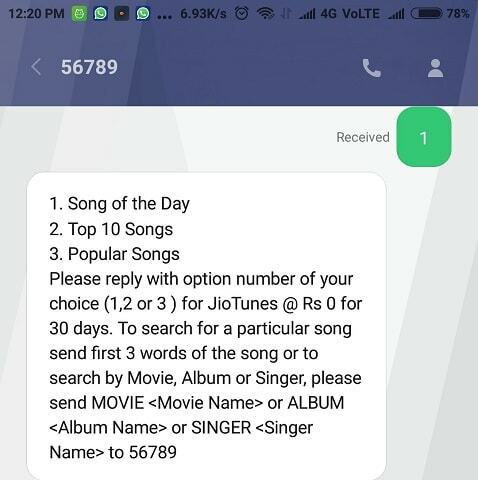 For any reason, if you want to stop the free Jio Caller Tune service SMS STOP to 56789.